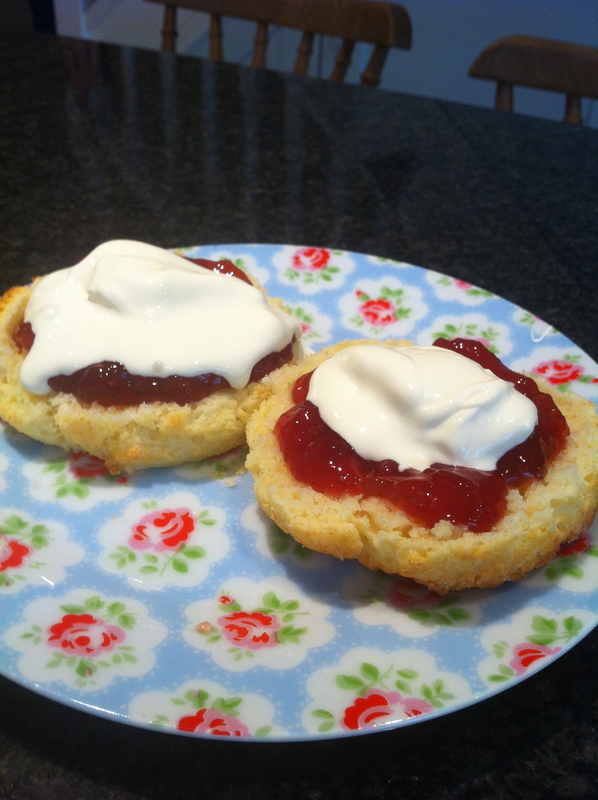 Gluten free Cream tea time! 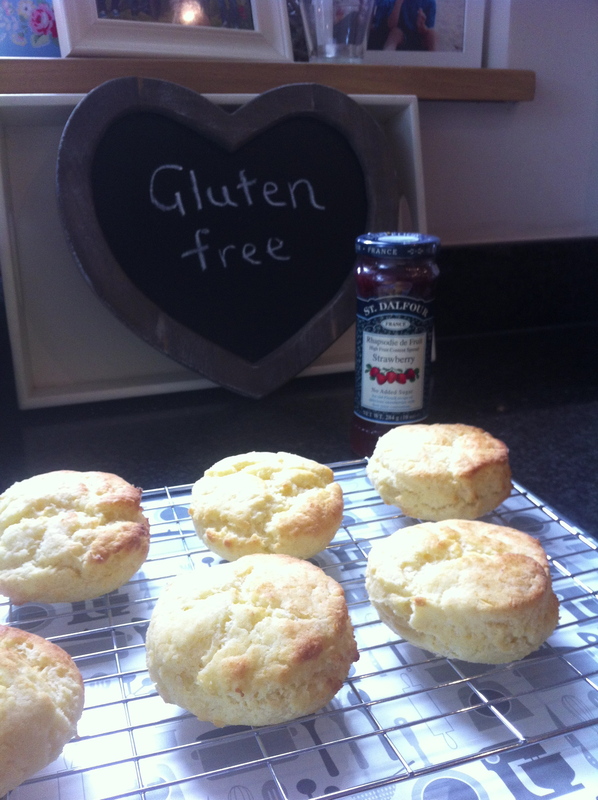 Wimbledon starts today, what better time to make some gluten free scones for an afternoon cream tea! 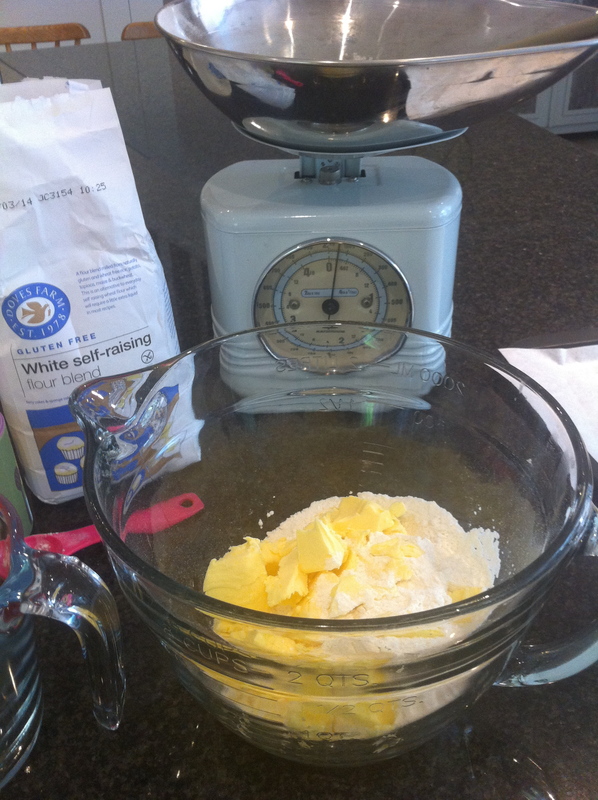 I weighed 250g of gluten free S R flour into a mixing bowl. To which I added 2 tsp of GF baking powder, both were from Doves farm . Then I added 1 tsp of Isabels GF baking fix, this is the first time I have added this. It should improve texture and extend shelf life. 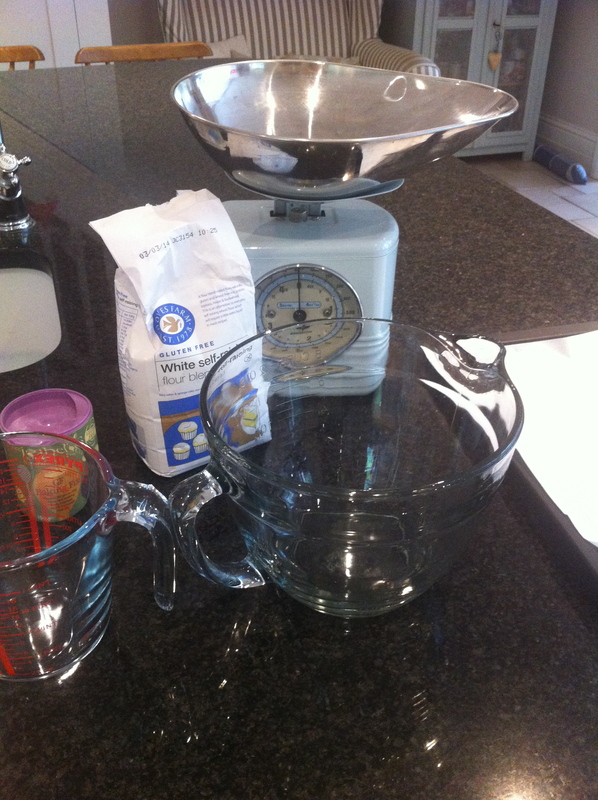 I then mixed the dry ingredients together. 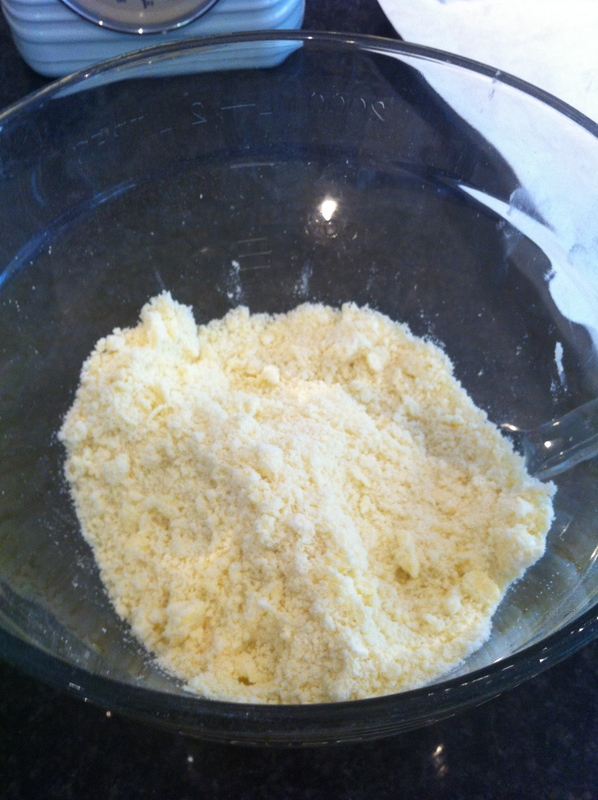 Next I added 80g of real unsalted butter, chopped and rubbed with fingertips until it resembled breadcrumbs. Finally I added 1 egg and 100ml of milk. add gradually until it comes together to a ball using a knife. The dough will feel very soft, don’t worry! 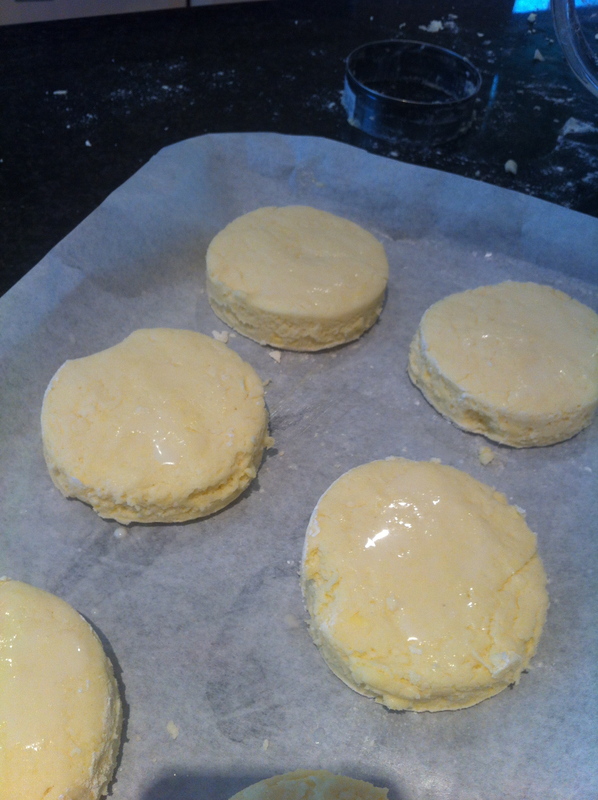 this is normal and with a little flour on your work surface the scones will be perfect. 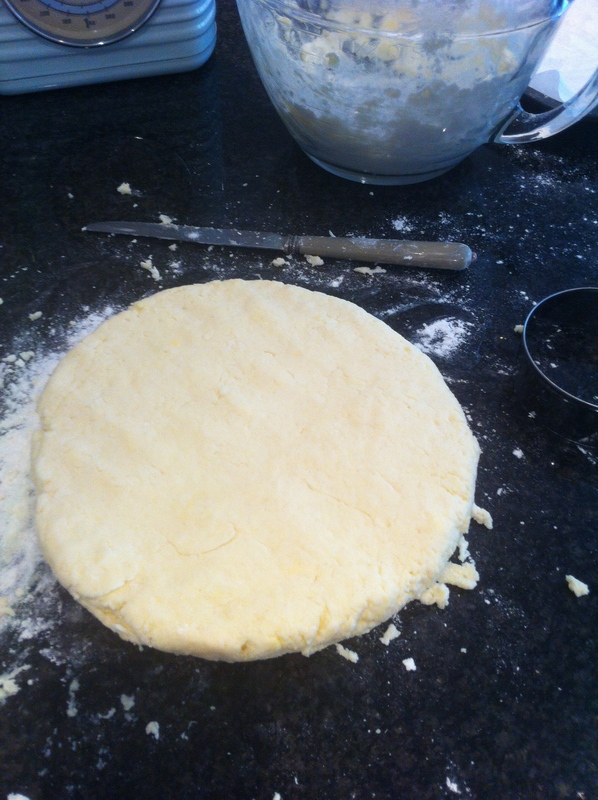 I rolled out the dough quite thickly and using a cutter cut out 6 scones and popped on a baking sheet with greaseproof paper cut to size. They look especially good if you egg wash them on top. 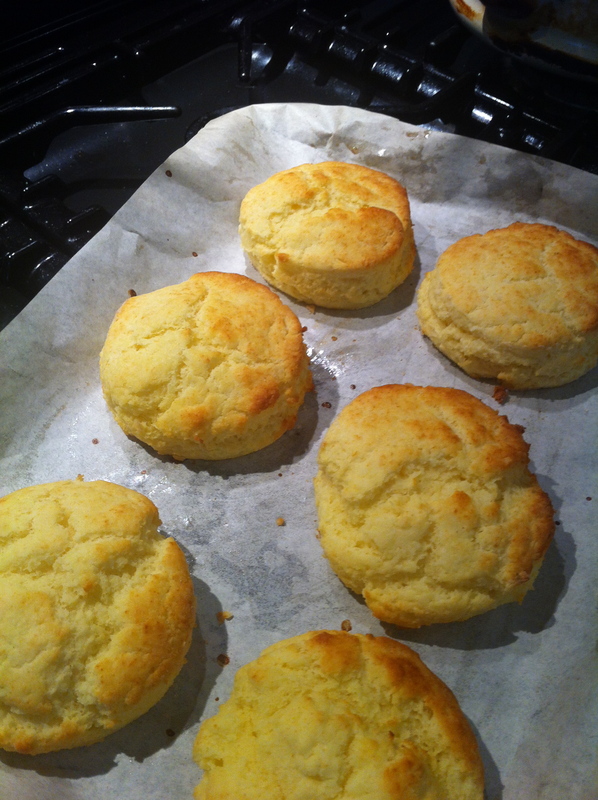 The scones went in the hot oven 220c for 10 mins. They should look a lovely golden brown on top . I cooled them on a wire rack then served with a low sugar jam. I use St Delfour strawberry jam. To top the whole thing off I added thick double cream. Best eaten the same day, Scones also freeze well. Perfect for a summers afternoon . whatever the weather!